Clean and relatively safe place to live . Apartments are good vibrant feel to them. . modern and quickly maintained. Love having access to the the pool, Hot tub and of course the workout room. Hi Sheila, Thank you for your feedback! We are so excited for our new pool area and spa! We hope that you will enjoy it as well. Regards! Beautiful apartments inside and out, also very very quiet even with how close it is to the highway. Staff is extremely nice and helpful. Great place to live and I'm glad I chose Brittany Lane for my first apartment experience. Hi Alejandro, We are so happy you chose Brittany Lane as you new home! Please don't hesitate if there is anything we can do assist you! Have an amazing Day! The grounds are well maintained and the staff has been very courteous. Our fridge broke and maintenance was very quick in fixing it and getting us back on our feet. Hi Hayley, We are so glad we could assist you with your maintenance request! It is always are goal to have those completed asap. Have a great day! Hi Richard, We are very happy we could provide great service. Please let us know if there is anything we can do in the future. Regards! I really love the location and access to amenities. My apartment has ample space and beautiful upgrades. The grounds are kept nice. I love all of the trees and green space. I haven’t met many other residents, but the few interactions I’ve had have been friendly. Drawback: I know this goes for just about any apartment-living situation, but it can get pretty loud at times, with TV/music, laundry, plumbing and walking sounds. Everyone seems very respectful of Quiet Hours, though. Overall, it has been a very nice living experience so far. Good Day, We have a spacious homes and lovely green spaces. Please contact the office with any noise issues, we will do our best to solve any issues presented. Have a wonderful day! Great service. Very helpful. Can’t wait to move in! Everything looks clean. Super excited for the small dog park in the aparment complex. It’s going to make my life much easy. Daniel, Our dog park is pretty amazing! We do our best to keep the community clean. Welcome to Brittany Lane! My husband and I moved to Brittany Lane Apartments as of late March, and we love our new community! The staff is very friendly and helpful. I also really enjoy the farmhouse feel to the phase 2 model. I have never felt so at home! Kiana, Our new renovations are really awesome! The subway tile backsplash is my favorite in the kitchen. We are so thankful you feel at home! All the Best! Hi Delite, We are very pleased you choose Brittany Lane as your new home! Our new dog Park is amazing!!! Hi Erick, Thank you for the feedback. Please let me know if there is anything we can assist with. Have an amazing day! My husband and I just signed our 3rd lease here. We love Brittany Lane Apartments and all of its amenities. The staff is always friendly and helpful. Maintenance is usually quick to respond. Brittany Lane is the place to make your home. Hi Heather, We are so honored that you and your husband choose to stay with Brittany Lane. We are looking forward to our new upgraded amenities. Have a wonderful day!! Richard, We are so glad you love living at Brittany Lane! The landscapers do a great job at keeping our community green! Have an amazing day! Perfect Lifestyle for either yourself and pet or roommate or your lttle family. Comes with everything you’re looking for and more with a great and friendly staff to help get what you’ve been looking for. Lisa, Thank you so much for the kind words! We are always looking for ways to improve and make everyone's lives a bit easier. Enjoy the beautiful sunshine! Micah, We are happy to hear our team has been quick to respond to service requests! Brittany Lane has a stellar Maintenance team! All the Best! Some discrepancies with moving in and renovations not being completed (heat not working) but they seem to be great at communicating and fixing it when needed! Hi Kerry, I am sorry to hear that your move in was not perfect! However our team is dedicated to making any corrections right away. Please let us know if there is anything we may assist you with. Welcome to Brittany Lane! Everyone has been so helpful with our process of moving in and answering questions quickly. I only wish the parking was easier without paying for a space. Hi Kaylee, Thank you so much for your feedback! We are always here to help, don't hesitate to reach out! Have a great day! Parking is tight. Good location close to shopping centers. Clean complex staff is pleasent. Apartments are spacious and great lay outs. Apartment is a little pricey but good things cost. Hi Valerie, Thank you for the feedback! We love our great floor plans as well. We work hard to make sure the community is well kept. Have a wonderful day! Just renewed my lease bc the apartment is great and the staff are so nice. They are also building a dog park/ slash area that makes it more then worth the rent. Hi Krystchen, Thank you for kind words! We are so happy that you chose to renew with Brittany Lane! We can hardly wait for the pet park to be completed! Have a splendid day! Close to freeway access, nice area in lacey, safe for children of all ages, friendly office staff. I've been a resident her for over 6 years. Hello Tanilya, We are overjoyed that you have been a resident at Brittany Lane for over 6 years. We have a great location and love to help all our residents. All the best! I have had a wonderful experience with Brittany lane apartments so far. My daughter was already a tenant here. She has had a very life changing event that requiered me to. Become her roommate. Its been awhile since we have shared a home together. So im happy to know that this is a spacious apartment and safe area that we now share. Hi Kemberlyn, Thank you for taking the time to give us feedback. We are so pleased that you are happy in your new home and able to help your daughter. Please let us know if there is anything we can to do assist! Have a wonderful day! Hello Cassandra, We are so thankful you chose Brittany Lane! We are more than happy to assist you in anything you need. All the Best! Richard. Brittany Lane has a great landscape with beautiful trees and green spaces. We work to ensure this is all well maintained on a daily basis. Thank you for the kind words! Have a wonderful day! I thoroughly enjoy being a resident at Brittany Lane Apartments. The staff is helpful and kind, the apartments are gorgeous and the location is ideal. Hannah, We are overjoyed that you enjoy being a resident. Our residents are why we keep improving! Glad to hear you love your home. All the best. Great staff, friendly gated community, and the location is perfect being close to the interstate and other restaurants including schools. Reasonably priced for the area. Kamilah, Thank you so much for you kind words. Brittany Lane has a great location close to everything but away from all the noise. Hope you have a splendid day! Minimal noise. Neighbors that disrupt the community are handled well. Maintenance turn-around is quick. Overall a good and affordable place to stay with friendly staff and in a convenient location. Jamison, Thank you so much the feedback. We are glad we could took care of a service request and noise issue right away. Let us know if there is anything we can assist with anything. Have a great day! 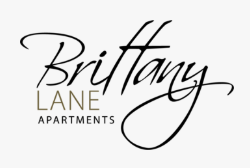 Brittany Lane Apartments has very helpful and kind Staff, they take there time with you and your decisions and all together very easy to work with and have a stress free environment. They have many great offers to their Residents and Future Residents. 5 out of 5 stars most definitely! Hello Ceidra. We are so honored that you chose Brittany Lane. It is always our goal to provide great service! Please reach out if there is anything we can assist you with! Regards.